a. Disconnect the vent line hose from the fuel tank. b. Connect the pressure gauge to the fuel tank. c. Fill the fuel tank with fuel. It is necessary to check the amount of fuel in the fuel tank. When the fuel tank is full, the float valve of the fill check valve is closed and no air can pass through. 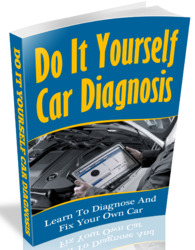 e. Remove the fuel cap, and check that the pressure drops. If the pressure does not drop, replace the fuel tank assembly. 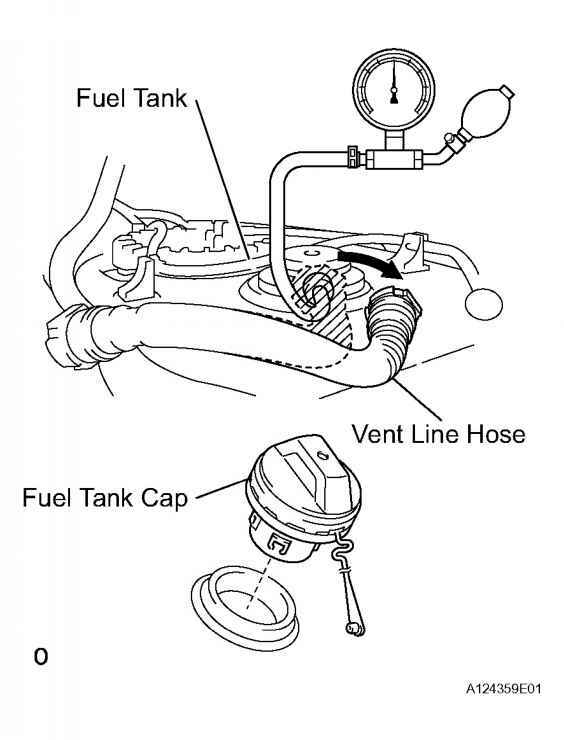 f. Reconnect the vent line hose to the fuel tank. How to drop the fuel tank in a 1991 4runner? What is a toyota fill check valve? 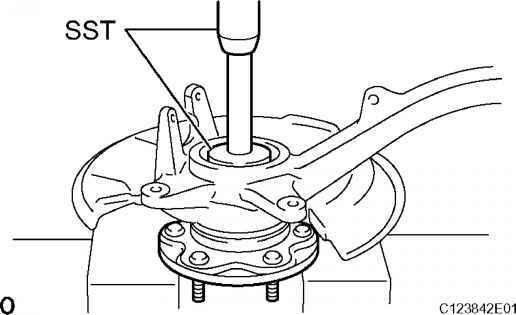 Where ia the fuel cut off valve located at on a04 tacoma?